Madrid Book Fair. May 2012, Madrid. 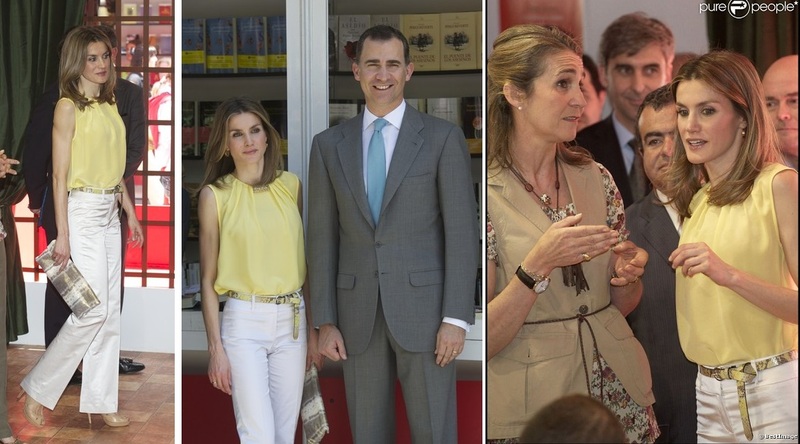 On May 25, Prince Felipe and Princess Letizia opened the Book Fair of Madrid in the Retiro Gardens. Photos: Uterqüe, Massimo Dutti, Mujer de Élite, PurePeople, Zimbio, Magrit. « Visit to a Cáritas project funded by the Hesperia Foundation. May 2012, Málaga.